• The unit also comes loaded with a base tune for a stock 5.0 Mustang. The MicroSquirt® EFI controller is a great low cost option for use in modified SN95 Ford 5.0 Mustangs. 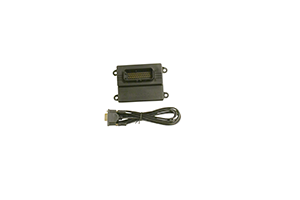 Included in the kit is an easy to connect 3 bar MAP sensor, which makes this product a perfect choice for modified 5.0 Mustangs. The MAF (mass air flow) sensor is not used which makes this conversion excellent for Boosted applications. • 12 x 12 tuning tables for Volumetric Efficiency (VE) table, 12 x 12 for Air Fuel Ratio (AFR) table, and 12 x 12 for Spark Advance table. • Wide Band or Narrow Band Oxygen sensor compatible. High impedance injectors only can be used in this application.